Brief Description The Segway Tour offers a unique way to explore the island and learn about the natural history, the native species, and the culture of Sanibel. 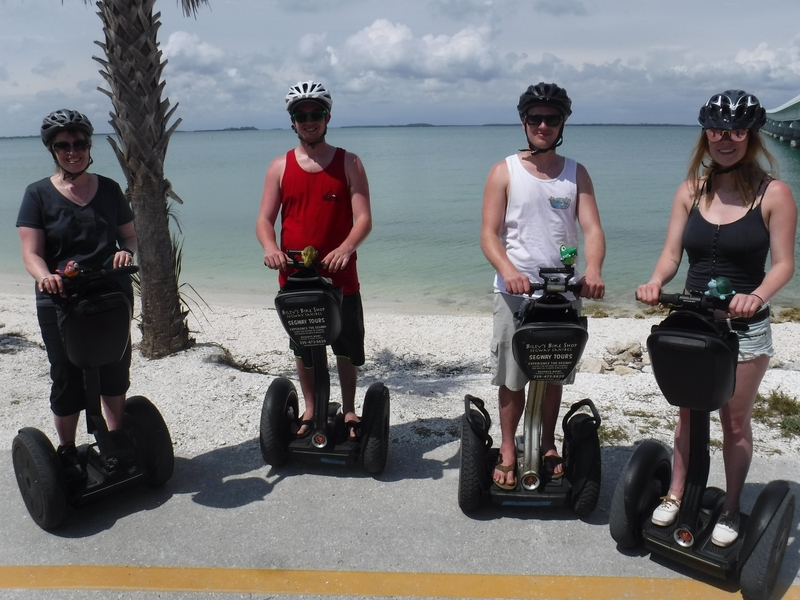 Description Billy's Segway tour offers Sanibel's exclusive guided tour featuring information on island history, tropical vegetation, and local wildlife. The experience is approximately 90 minutes in length (includes safety instruction and practice). Riders must be at least 14 years of age and weigh at least 100 pounds. Tours operate Mondays through Saturdays, call for availability and reservations. Our "awesome" tour guides make this a must-do Sanibel attraction! Add Billy's Segway Tours to your free online travel itinerary.